Did you know this month is not only reserved for Valentine’s Day? Here are a few, some of which are bizarre holidays that share observance this month and deserve a little mention in The SL Enquirer. Let’s examine what they are. · Creative Romance Month- We get it since Valentine’s Day is a popular day of this month. 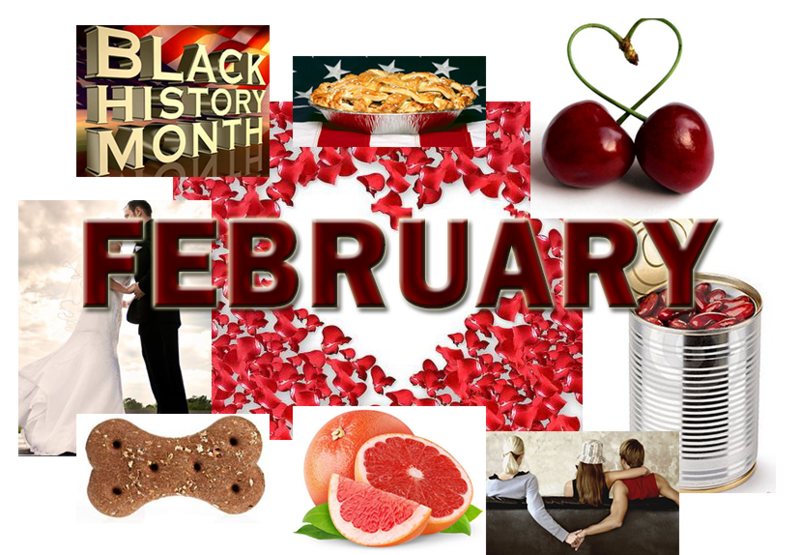 · Black History Month- this month celebrates the achievements of African Americans in U.S History. · National Wedding Month- The most popular months for weddings are June, August, September, October and May so why is this month the National Wedding Month? We don’t get it but OK.
· National Grapefruit Month- Uhhh yea. What is so special about a grapefruit besides the fact it actually curbs hunger . Whoopty dooooo. · American Heart Month- Are you at risk for heart disease? Our hearts are an important part of our very existence. If it doesn’t work…well you know the rest. Use this month to get a check up and make sure your ticking like you should. · Canned Food Month- Participating in a canned goods food drive would be the ideal way to observe this one. Wouldn’t it be great if we all donated to our local food banks? · February 15- Singles Awareness Day- How cruel is this one? As if singles didn’t realize this yesterday? · February 17- Random Act of Kindness Day- Do something nice for those you meet this day and hope that they pay it forward to help bring about some kind of world peace contribution. · International Dog Biscuit Appreciation Day- Did I miss something? WTH? Don’t forget to Celebrate the 3rd Week of February by observing International Flirting Week! As a word of precaution, you might want to practice using voice verification in Second Life to avoid an awkward situation.